You’ll see results faster with the help of Englewood personal training, no matter what your goal or reason for starting a fitness program. Whether you want to ride your bike at Bayshore Trail when it opens or simply look and feel better, a personal trainer can design a program specifically for your needs. Personal trainers first assess your present physical condition. They identify weak muscles and gauge your level of fitness. They discuss your goals, special needs and try to get a feel for your lifestyle, to design a program that fits all these needs. If you’re constantly on the road, you’ll need slightly different advice and help than a retiree who spends most of his or her time locally. What you eat greatly affects not only your weight, but also your health. You can’t run a car on sugar water and your body is no different. Learning to eat healthier means you’ll never have to diet again. Diets simply don’t work because they always end, either in success or failure. Either way, you return to your previous eating habits and regain the weight you lost. Instead of dieting, learning to make healthier food choices helps shed pounds and keep them from returning. Learning food substitutions or ways to make your favorite dishes lower in calories can help you lose weight safely and healthily, while also improving your overall nutrition. Combine a healthy diet with regular exercise to lose weight. 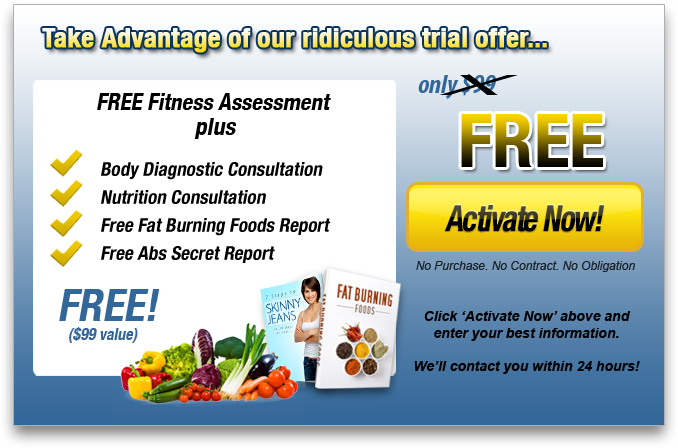 The combination of a healthy diet and regular exercise whacks fat cells with a double whammy. In order to lose weight, you have to consume fewer calories than you burn. A healthy diet lowers your caloric intake, while exercise increases your output. Once you build muscle tissue, it’s even better. Muscle tissue burns more calories than fat tissue does, so you’ll be burning extra calories 24/7. Improve your health with regular exercise and healthy eating habits. Simply making these two lifestyle changes can dramatically improve your health and reduce the risk of serious diseases. Exercise and a healthy diet can help control diabetes, high blood pressure and even osteoporosis. Exercise lengthens the telomeres, which protect the chromosomes. They act similar to the plastic tips on shoelaces, which prevent them from unraveling. Once there’s damage, it can cause mutation or cell death. Both lead to aging or disease. As long as you’re still breathing, it’s never too late to start exercising to see improvements in your health. Personal trainers do sports specific training. Whether you want to golf better, be the star of the company team or start training for a marathon, a trainer can help get you into shape. Personal trainers work with people of all fitness levels and ages. Seniors, in particular, can remain independent longer with the help of a personal trainer. As your level of fitness improves, a personal trainer adjusts your program to reflect that improvement. Exercise is a great prescription for those under stress. Exercise not only burns off cortisol and other hormones created by stress, but it also replaces them with ones that make you feel good.